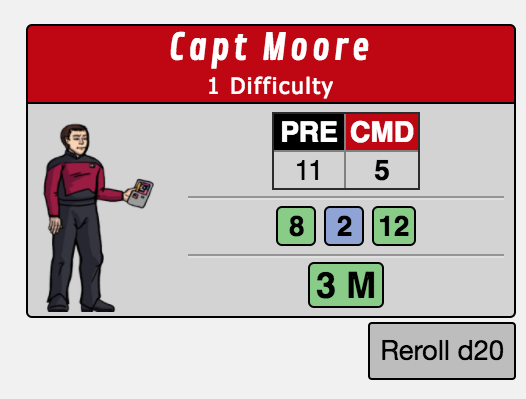 Some of you will be old enough to remember an old web page I made where you could make Star Trek paper miniatures by dragging the separate components on to a figure at the top of the page. That site has long since become defunct and I finally expunged it from existence a while ago. Since then I have been working hard on a far superior replacement. It currently works in Chrome and Firefox. Apparently IE doesn't support the unity web player, though Edge will. I've not tested it in Safari. It can take up to about a minute and a half to load in but there is usually a loading bar to keep you appraised of progress. It's pretty self explanatory to use, I think. Q: Are you going to include...? Q: Where's the bloody print function!? A: There isn't one, sorry. Neither is there a Load/Save function. I'm afraid that's a tad out of my league just yet but I definitely want to include a print function as well as a save/load one at some point. I'm afraid for now you'll have to use Print Screen or the Snips app in Windows and paste in to an art package of your choice. Q: Why can't I resize the screen? A: The resolution is fixed so that the images when screen-capped are around 32mm tall at 300 dpi. That means you will need a monitor resolution large enough to view the work area - which I think most folk will. I'll look into resizing options later on. Q: Why are some parts of the uniforms grey instead of black. A: I try to avoid colours that are too dark as they print even darker and can make the black outline indistinguishable, effectively turning the figure in to a silhouette. For this reason some colours are a little brighter than they should be too. EDIT: This is on my Chrome, it works fine on my Safari. Also, wasn't there a Trill option before? Is that missing on purpose or is my browser bugging out? EDIT 2: Loving the PADD options, I think I will actually start using these in my games from now on. Could only get it to work in Firefox. Nice job on Kelvin. Are you doing the Beyond uniforms as well? I'm not sure what the Chrome issue is. It works fine for me and someone on the Star Trek Tabletop Gamers Facebook page (join us) had exactly the same issue and then upon retrying, it worked and continued working so I'm at a loss, sorry. Anyway, yes there *was* a Trill option. I forgot to move the Denobulan and Benzite buttons down so it was covered. I've now fixed that. I am definitely doing the Beyond duty uniforms as I adore them. They were going to be part of this update but I decided that I should try and get the basic three into each era first and then go back and add more. @WaynePeters Yeah, that was a Chrome bug or something, it works now fine for me. I just created a bunch of characters and wanted to share some. I play online via Roll20, so I made some sheets and macros for Task Rolling, now I just added the miniatures and it looks awesome. If folks are using this app to make minis or anything at all, please do share pics. Knowing that folks are getting use from the app is the best motivation and reward for me. Wayne: Chrome on Mac doesn't support NPAPI plugins. Unity Player for Mac is still NPAPI. Similar issue for MS Silverlight and several other browser media plug-ins. I started wondering about a more solid way to "base" these miniatures so they aren't as fragile as basic paper, and after some searching found these: Tall Paper Figure Counter Stands. They also have similar stands in wide or tall, and slotted bases still intended for paper figures but without the plastic layers. @Aramis Fair enough. I know the old Unity player is no longer supported by the big browsers but this is meant to be built for WebGL using HTML5 which I would have thought would be universal. Clearly not. I print them on heavy card stock, which makes them pretty durable. I'm planning to print some and then glue them to a sheet of foam board to make them even sturdier. UnityLoader.js:1 Decompressed Release/Build_026.memgz in 132ms. You can remove this delay if you configure your web server to host files using gz compression. Noting that this is using mac chrome. At least now it's not "missing plug-in"... unlike last time. UnityLoader.js:1 Decompressed Release/Build_026.datagz in 257ms. You can remove this delay if you configure your web server to host files using gz compression. UnityLoader.js:1 Decompressed Release/Build_026.asm.jsgz in 328ms. You can remove this delay if you configure your web server to host files using gz compression. UnityLoader.js:1 Decompressed Release/Build_026.jsgz in 8ms. You can remove this delay if you configure your web server to host files using gz compression. blob:http://www.crowstuff.co.uk/38633bbc-5b99-4c0b-9669-f58dffde0962:1 The devicemotion event is deprecated on insecure origins, and support will be removed in the future. You should consider switching your application to a secure origin, such as HTTPS. See https://goo.gl/rStTGz for more details. blob:http://www.crowstuff.co.uk/38633bbc-5b99-4c0b-9669-f58dffde0962:1 The deviceorientation event is deprecated on insecure origins, and support will be removed in the future. You should consider switching your application to a secure origin, such as HTTPS. See https://goo.gl/rStTGz for more details. UnityLoader.js:2 Creating WebGL 2.0 context. 3rd row, 2nd col - clicking the face doesn't set the hair (which is a friar's rim); have to actually click on the (very hard to hit) hair. row 11 col 1: again, most of face fails. Skin color: green shades failing on Trill, Vulcan, Bajoran, denobulan. Other colors all working. Beards- most failing unless clicking on the lower face. Hope that helps bug tracking. Aramis, thanks for that. Much appreciated. Yeah, the hair buttons are a pain. Only the hair itself is a button the head is just a graphic. I could fix that by making the head graphics buttons too but then the skin colour tinting script doesn't work on them. I might look in to that again as there might be another way of doing it. I think I deliberately deactivated green and blue skin tints on the listed races as they don't have green or blue skin. Well @Wayne - supposedly Firefox and Chrome will no longer support Unity and Flash in "games and game-like applications". What this means exactly, I have no idea. Kongregate.com has 'effectively' been telling everyone to switch to IE (No, I like my internet to actually work, thank you) in order for their accounts to work. I haven't had a problem with it, 'yet', but am watching for the day it will supposedly go belly-up.